ACG Media Player from Axilesoft is a media player for Windows, but what makes it different from others is the fact that you can use it on Windows 10 PCs as well as tablets and phones. As you might expect the app can play different types of media, and it’s also easy to use. The player has support for touch screen swipe control and you use your fingers to move and scale the app. The user interface is simple but intuitive and that’s a good thing; at the bottom of the screen are the playback controls which you just press or click, so playing music is straightforward. Controls for video playback are just as easy to use, and if you’re not happy with the display just go to the Video Effect settings and adjust the sliders for the brightness, contrast, tint and saturation. Since touch screen is supported here, you literally just have to drag your finger to move the slider. ACG Media Player has a lot of options but it’s easy enough to learn. To jump through the media playing you just swipe your finger left or right, and to hide the control panel just tap the bottom of the screen. You also use the swipe feature to adjust the volume. 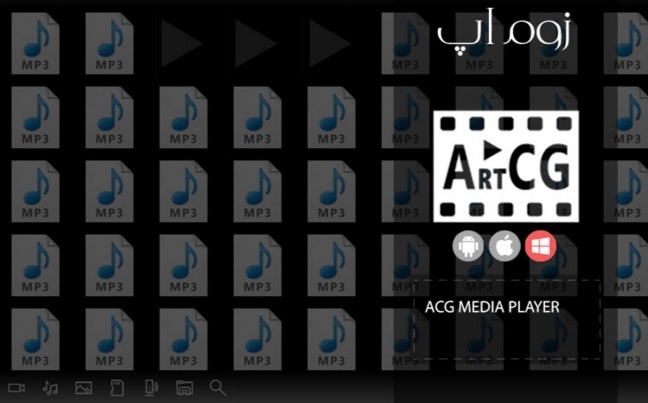 If you decide to use ACG Media Player to play music or play videos, you won’t have trouble figuring out how it works. The media player market is crowded and there’s no lacking of free players and apps, but if you’re not happy with the one you’re using, give ACG Media Player a try.